we are very excited about our letter-writing campaign to the children at new creation preschool. 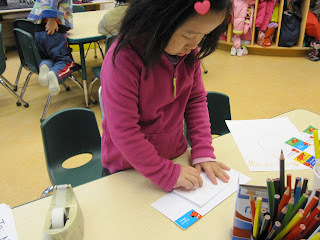 after looking at the photos and speculating about the sorts of things the children like to do in their classroom, we sat down to write notes. many of them ended up being "happy new year!" notes, because chinese new year was fresh in everyone's minds.